"Know your enemy" – Sun Tzu. There are a lot of resources for methods to get rid of weeds but for the best results you must first know which weeds you are trying to control. Unless you are a student of botany, typical weed identification guides are fairly botanical and it may be difficult to follow the description in order to identify weeds. You also don't have to visit a herbarium as we have a better solution for you. In this comprehensive guide brought to you by Weedicide, we'll help you identify common garden weeds in the United Kingdom with ease. Different weeds commonly found in the United Kingdom are differentiated based on their structure and then identified using the type, size, availability, and appearance. A few quick tips on how to cope with different types of weeds are also provided. 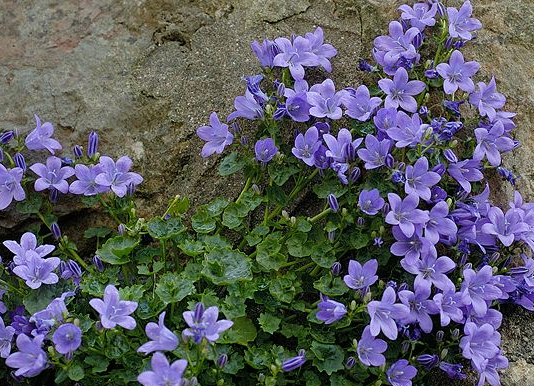 Appearance: Blooms early before the actual plant starts to grow. 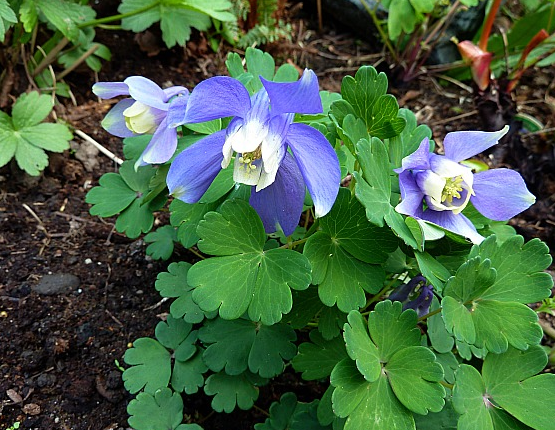 Aquilegia is a colorful flower with quite strong roots that makes it difficult to pull out. Appearance: Similar to fern like structure. Can survive in the doughtiest conditions. 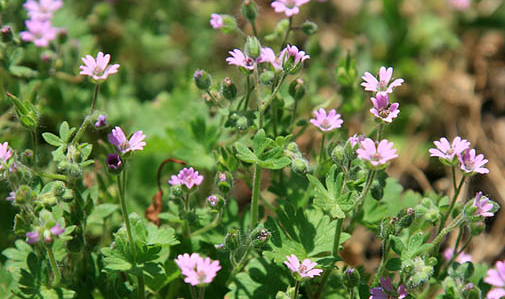 Appearance: Pretty pink flowers – seen in late springs and summers. It grows on dry soil and prefer dry environment. Found in: Can survive in all kinds of weather conditions – most common in damper conditions. Appearance: Kidney-shaped flowers with prominent veins. Mostly seen between mid to late June. Appearance: Small flowers with hairy dark green leaves. 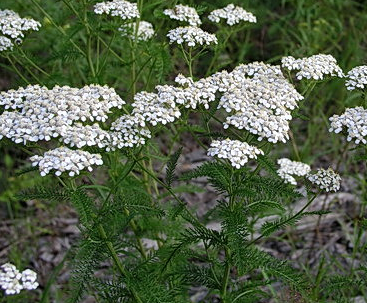 Visible white flowers bloom from late spring to autumn. 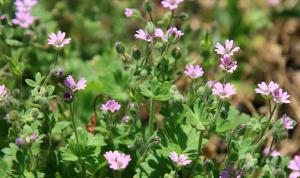 Tips: Since these Mouse-ear chickweeds can easily skip a mowing session, you can look for controlled and selective herbicides to get rid of these weeds. 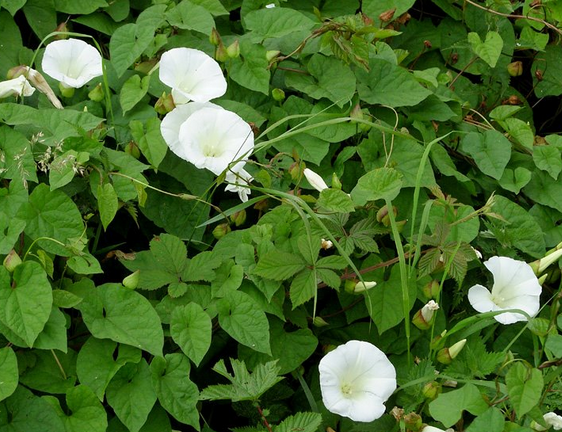 Type: Perennial weed – generally grown by creeping runners aka rhizomes. 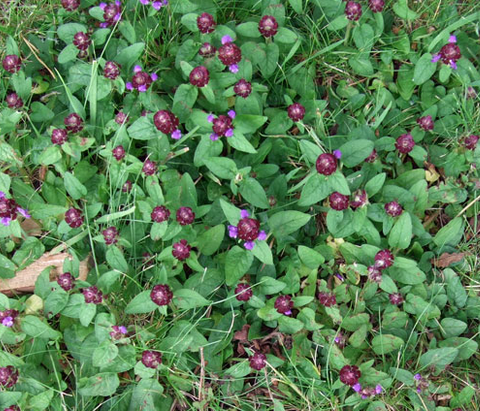 Appearance: Evident purple ting– easy to find in closely mown areas. Blooms during June to October. Appearance: Fine hairs on only one side of the stem in a single band. Tips: Control chickweed by pulling with the help of an old table fork. 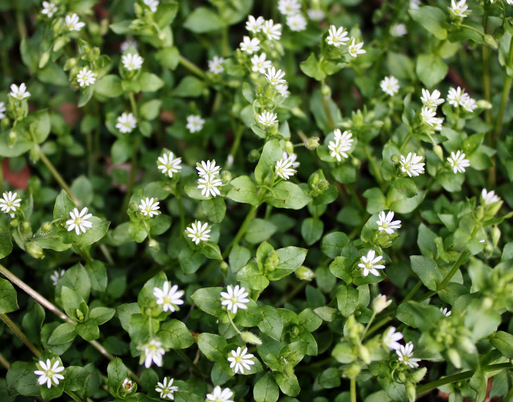 Mulching over vacant garden space in winter will reduce chickweed problems. 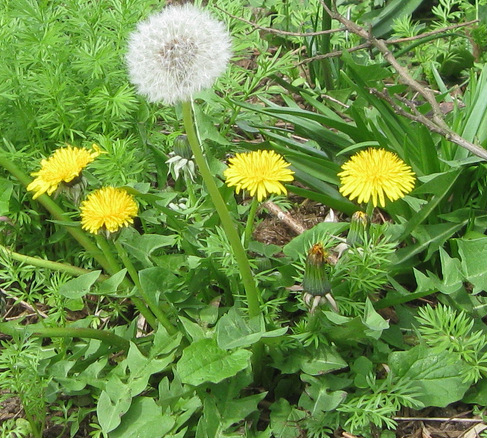 Appearance: This annual weed does not last for more than one year. Not common in properly maintained gardens. 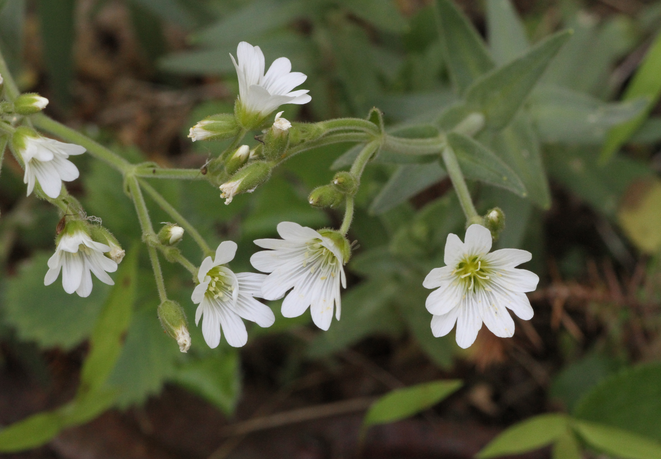 Sometimes misinterpreted as the Common Chickweed weed but the Pimpernel has bigger, more square-shaped stems. 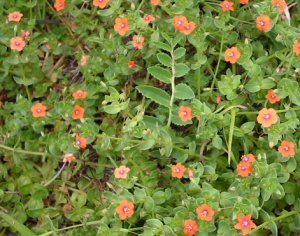 The name comes from big, intensely orange or red-colored flowers. Tips: Ensure your garden is clean. The Scarlet weed finds it very difficult to thrive in well-maintained, periodically groomed lawns. Type: One of UK’s commonest weeds. It can grow throughout the year. 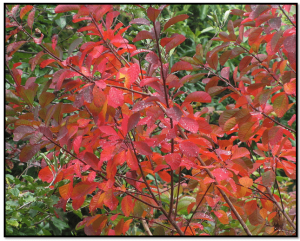 Noticeable because of its longer and thinner leaves. Tips: This is one of the most tolerant weeds. Though easy to remove, comprehensive eradication is often difficult. Repeated hand weeding might work in some cases. Known to cause big patches that can easily destroy your garden’s beauty. Not easily eradicated by generalized herbicides. Better handled with selected herbicides that are known to kill the Ribwort. 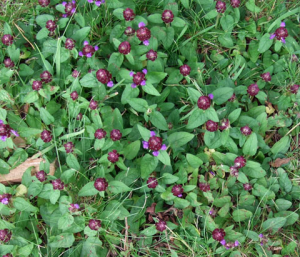 Type: It is one of the commonest perennial weeds found in the UK lawns and turfs. 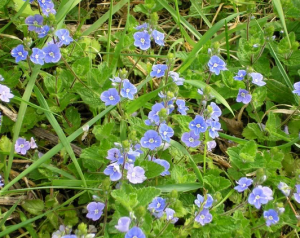 It is specifically found in ill-maintained lawns or gardens with neglected services. Found in: UK lawns and turfs. Visible from June to October. 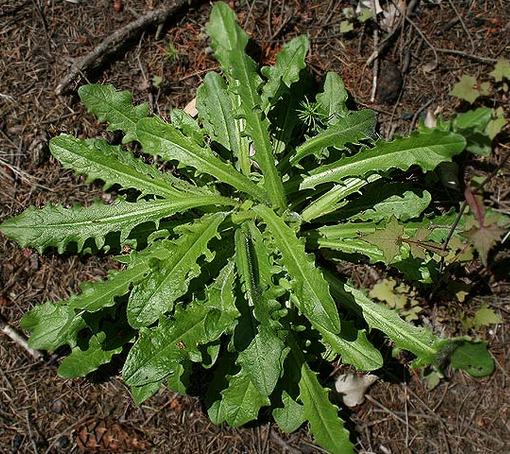 Appearance: The leaves of this kind of weeds are easy to identify with five different segments and toothed edges. The yellow flowers and fleshy petals also contribute in easy recognition. Appearance: The leaves are simple and basal, forming a rosette above the central taproot. The flower heads are yellow to orange colored, and are open in the daytime but closed at night. Tips: Brush scattered plants with a clove oil-based organic herbicide. Reduce reseeding by popping off the flowers before they develop seeds. 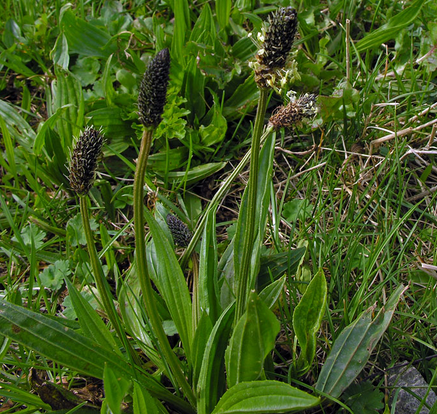 Type: Perennial weed. One of the strongest and persistent taproot types. Found in: Commonest weed types in lawns of UK. Appearance: Cats Ear looks like a stunted Dandelion. It is often found on drier soils. Tips: Cats Ear is often ignored in rigorous mowing in a lawn. This is why, specific herbicides are sprinkled to reduce the growth of Cats Ear. Type: Creeping Buttercup is most common perennial weed. 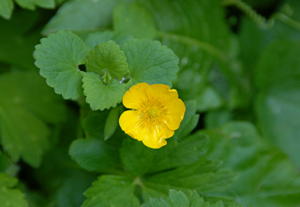 Found in: Creeping Buttercup is one of the commonest yet low growing weed types in the lawns of UK. It blooms from mid spring to late summers. Appearance: Creeping Buttercup is best seen on wet heavy soils. This Creeping Buttercup particularly grows with its creeping stem and extends upwards on a regular basis. 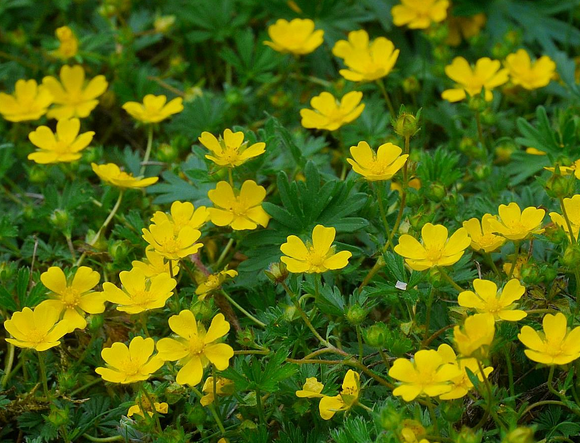 With fibrous roots, Creeping Buttercup is very difficult to remove permanently. It blooms yellow flowers with 6-9 petals each. Tips: A continuous practice of years can be sufficient to weaken its root. 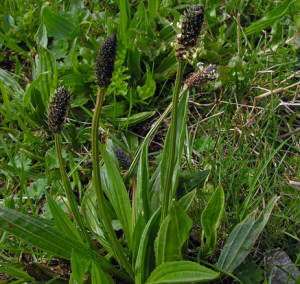 Type: Perennial weed. Birds-foot trefoil is one of the members of the Clover family. Found in: Birds-foot trefoil is widely found in lawns and gardens of UK. 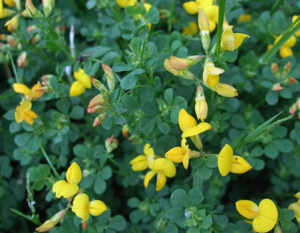 The Birds-foot trefoil can be found on any kind of soil; however the highest fertility is in acidic and drier soils. Appearance: Forms large patches and regulates through a deep root system. Birds-foot trefoil doesn’t need any particular pattern for growth – as can be grown by under-runners like stolons and rhizomes. It blooms bright yellow flowers – which easily resemble with Honeysuckle. 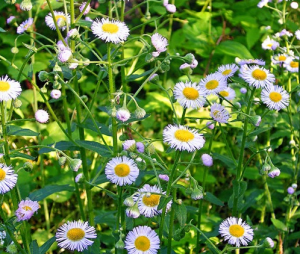 Type: Daisy is one of the most commonly found perennial lawn and turf weeds in UK. 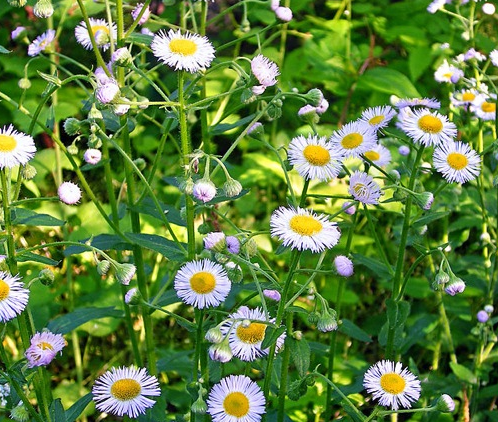 Found in: The Daisy can be seen in any soil condition – spread by short runners called Stolons. Appearance: The Daisy is quite easy to recognize for its fleshy round leaves. The Daisy can easily grow very close to the ground – even in close mown lawns too. The flowers bloom from spring to early autumn – featuring a yellowish center for easy distinction. Tips: Easy to pull or cultivate with a sharp hoe when young or you can spray them with an organic herbicide containing clove oil. Found in: Commonly found in UK lawns and gardens. 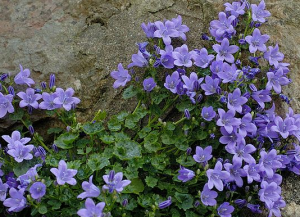 Appearance: Campanula has really attractive flowers –blue in color. Based on their nature, weeds are divided into annual weeds and perennial weeds. Other classifications include common weed, easy to control weeds, difficult weeds, and Trees and Stumps. Small standing trees and roots are also unwanted and categorized as weeds. The way to cope with them is to use an axe to cut then down (from November to March). Various control measures to get rid of weeds include pulling weeds, digging weeds, mulching, cultivating, reducing, reseeding, crowding plants, glyphosate herbicide, organic herbicides, corn gluten herbicides, and flamers etc. Choose one that suits the plant and your budget, and keep your garden free from weeds. If you enjoyed our weed identification guide, help us out by sharing it via your favorite social media site(s). Thanks for producing such a lengthy and engaging list of weeds. Must admit to feeling more antagonistic towards them than you appear to be! Can you help me to identify a missing one? (Very feint type this, by the way.) Very delicate appearance; thin stems put out side shoots with a cluster (3″long) of tiny filament like leaves about 1/2″ long. Some of these grow into longer branch stems which may end in little blue buds which open into star shaped blooms surrounded by those filament ‘leaves’. Some of the stems manage an upright posture. of approx. 18″. Thanks again, CB. Hi Colin, is the weed you’re referring to the Anagallis arvensis? Yes , definitely is. I have been studying plants now for a long time as part of my exciting job in plant ecology. Glad I could help mate. Contact if you need more help. Trying to identify a weed/plant having moved house. Looks like a cabbage about to go to seed. Has just shot up in last 2/3 weeks. Hi Robin it could be apart of the Brassica oleracea family or it could be skunk cabbage (Symplocarpus foetidus). I suggest sending a picture for correct identification. What is it and how do I get rid of it? Hi Sue, is it the wild garlic? To find a suitable method of getting rid of it, we suggest you check out our guide on eliminating weeds. 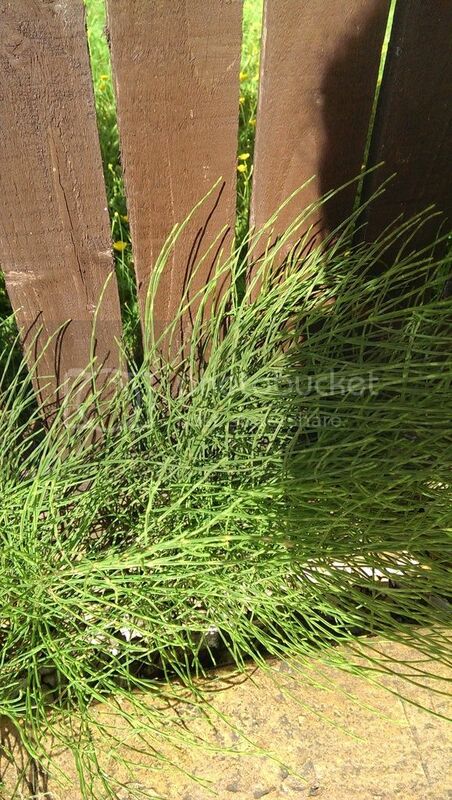 Hi, thanks for such a lovely site..
Hi David, it could likely be quackgrass or witchgrass. Let me know if those fit the description. Hi Naomi, it could be either a variation of deer or moor grass or it could be mares tail. If you want to remove the weeds by pulling them out, use a tool such as the fiskars weed puller or a hoe to do the job. I have this in a flower bed. it has pushed through the weed control fabric and fine mulch. it is spreading like a vine. pulling the ‘leaf’ out will only make it spread further. each visible part is connected to a fine root, which connects up to other patches. Hey, nice new place and beautiful weeds I’ve been btnalitg these same weeds for a couple years now; funny though, you make them look so pretty. It’s marestail a survivor from prehistoric times. This should give you a clue to how resistant it is. No weed killers tough it and the roots go down to 3metres. I wonder if you can help me? I planted some mixed yellow annual seeds in April and have carefully tended the seedlings. They have come into flower but I suspect they may not be the flowers I was expecting. They are about 1.2m high, straight stems with quite long, hairy, grey-green leaves alternately up the stem. At the top there are small pink flowers with a white cross in the middle which turn into a long, thin, green seed pod when the flowers fade. I may have weeded out all the yellow flowers as, so far, these are the only ones to flower. Hi Lizzy, that one is tough to say due to the lack of a visual. 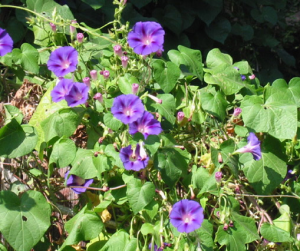 However, given the description of the pink flower it appears to be a cherokee brave but considering those are rare in Europe I’m thinking it’s apart of the morning glory family. Could you help identify a creeping weed with clover-like leaves and tiny red flowers. It has very stringy roots/ stem and is easy to pull but there’s lots of it growing up through, twisting around and then flowering over other plants. Hi, I have some sort of weeds growing out a brick retaining wall. The base and roots are like a tree. I need to get these removed as the wall will is getting damaged. I could not even tell you what type of weed it is. Hello John, to get rid of weeds in block pavings and walls use Algon Path and Patio Cleaner which you can purchase on Amazon.co.uk. Hi , I hope you can help, i have growing in the borders of the lawn a ram rod straight weed with no leaves or flowers but lots of little cups with 3 or 4 seeds in each, I can’t remember having seem them before buth there are loads this year. i wondered if you could give any advice on what these may be? We have an unknown weed growing on the railway embankment beside some arable fields and need to identify and get rid of it. Can I email photos? Hi Sally you can upload it to imgur.com and send us the link through a reply comment. 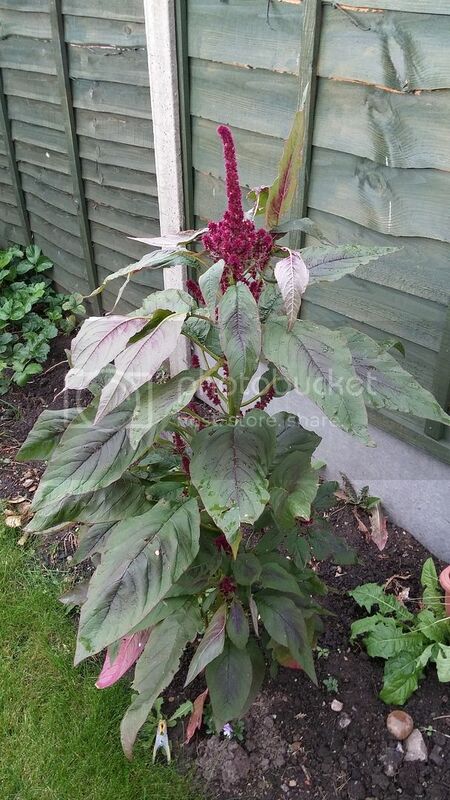 Hi Andrew it is likely a firetail plant, quite possibly the Persicaria amplexicaulis or something very similar. can you help identify this? not sure if its a weed, it grew under a bird feeder and has doubled in size in a week. Hi Catherine, it appears to be apart of the bamboo genus. Also, a weed is any plant growing where it is not wanted. We have a very prevalent weed that we would like identified. How do we send an image. Hi Ted, you can upload to Imgur.com and post the link here. The link to photos of a strange looking weed I found in my garden. I would love to know what it is. Can you help. Have recently acquired a small plot of land (20x20m) previously part of a very overgrown field containing numerous weeds and grasses. Have had top surface removed and professionally sprayed several times leaving apparently bare earth. The intention is to create a wildflower meadow and I have used plugs and seeds this spring to start the process. Not surprisingly some of the original weeds are now reappearing (several from your list above). As some look quite pretty, I’m wondering whether I need to remove them all. I suppose my question is; what is the difference between a weed and a wildflower in this situation? Hi Eric, the difference between a wildflower and weed is that a wildflower grows in a specific area naturally and a weed is a plant that grows naturally in a specific area where it is not wanted. So basically a wildflower can be considered in areas where its cultivation is not intended. Fantastic site. Its got me really interested in identifying some of the weeds I go to war with. However now I would love your help to identify a particular seedling that has got everywhere this year! I’ve never really noticed this before but it has now sprouted in my raised beds, pots and greenhouse. Its very delicate and can be easily pulled up but I’m surprised by the invasive nature of it. I initially thought it was ground elder as my soil is mainly rotted horse manure but it doesn’t have the same root system. Any thoughts would be greatly appreciated! Hello Stuart, that plant looks to be in its very early stages of growth. Do you see any of these plants that have grown to their fullest extent? Have just removed a bed of unidentifiable weeds. Each plant was about 2′ high and had about 10 stems per root. The leaves had about 3 lobes I think, the flowers were yellow and similar to a buttercup, and each flower stem also had a group of what looked like seed pods (each one very thin and 2″ long). The most interesting, and worrying, thing was that, as the plant broke above the root it bled orange sap, which became red after about half an hour! This sounds like Greater Celandine – Chelidonium majus. The sap is irritating to the skin and gloves should be worn when pulling it up. Some websites say the whole plant is quite toxic, but it can be composted, if the seed heads are removed. I have taken pictures of a rapid growing “weed”and the nearest resemblance is a horseweed. However, when I went to pull out the whole weed (it was 20-30 cms in height) under each and every leaf were a row of very sharp hook shaped thorns that proved to be very painful. I now have a second one growing nearby to the original one. Can’t send pictures here, is there anywhere I can post them for help. Hello Fred, consider using a tool such as the fiskars weed puller to remove weeds easily. It appears to be a mare’s tail which can grow several meters in length from the root up. Had these pop up amongst my hot peppers and Jalapenos plants. Any idea what kind of weeds they are if they are. They produce hundreds of seeds that fall off in the wind very easily producing more and more weeds very rapidly. Hello Gary, it appears to be asthma weed (Parietaria Judaica). Hello Pat, is there anyway you could provide an image? I have a climbing vine/hop type weed with small greeny white flowers which has large turnip type root which is had to dig out and keeps coming back. Any ideas? Hi, overnight my lawn has sprouted hundreds of small shoots in random spots all over. I wouldn’t say they are clustered together although there is one area which I have photographed. I thought this might be crabgrass, but now not so sure. Can you help me identify the weed please? Could I have some help identifying this plant that has popped up in every bare earth space in the garden! Can you help me please, I have a self seeded broad leaf plant settled itself this past two years in a very large pot, it is not unattractive the leaves are the size of a rhubarb leaf. It comes from a middle stem in a cone shape. Good colour green so I am reluctant to pull it out. I notice I have another baby one coming in the ground nearby. I am intrigued. Please identify if you can. Thank you. Hi, I’m trying to identify a weed that is prospering in my newly sown lawn. I sowed a bit late. So far, I’ve resorted to pulling them out by hand. Best Rotavator 2017: Petrol, Electric, or Manual? Best Lawn Scarifier: Electric, Petrol, or Manual? Pet Friendly Weed Killer: Does it Exist? Is Weed Control Fabric Effective?